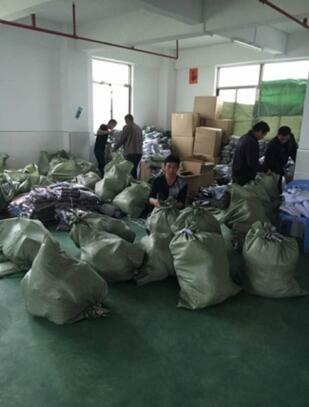 In March 2016, a well-known international brand owner of clothing received the information that a Shenzhen foreign trade company was suspected of exporting counterfeit products of this brand to New Zealand. In order to know the detailed information and suppliers of this Shenzhen company, REGENT was authorized to investigate this company with the related documents submitted by the target company to customs for reference. Through the address and contact information on the document, REGENT located the company in Futian District, Shenzhen, thus an investigation team was arranged to carry out an in-depth investigation immediately. After monitoring for days and having communication with the relevant personnel, we not only learned about the company’s background, business scale, respondent person, sales scope, operating methods, but also their manufacturer in Shantou city. Mastering the basic information of the factory, we arranged to inspect the factory at once. We found that although this factory had no business registration, its scale was no less than a regular factory. This factory had materials warehouse, manufacturing workshop and finished products warehouse. 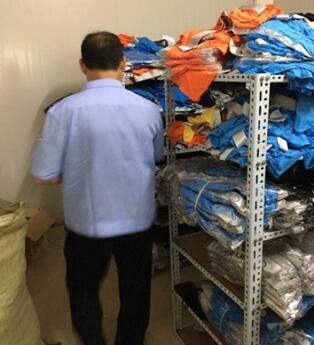 In the manufacturing workshop and finished products warehouse, we found that there were over ten thousand of counterfeit brand products on site. And this factory shipped highly frequently. We were aware of that this factory had involved in serious infringement, and suggested the client to conduct a criminal raid action to pursue the criminal liability of the person in charge of factory. In April 2016, upon the receipt of REGENT’s complaint document, Public Security Bureau of Shantou conducted a criminal raid action against the factory. By a thorough search, more than 40,000 pieces of counterfeit brand products, and more than 30,000 product labels were seized. The case was filed on the spot, and the factory respondent was detained for further investigation.